The personalised Viticole Wine Tasting Glass is 7.5oz (215ml) and is supplied in a blue box, but can be upgraded to a satin lined presentation box. The price includes up to 50 characters engraved for free and any additional characters to personalise your wine tasting glass are then charged at 25p each. For an additional charge, a logo may be engraved on the glass. The size of the wine tasting glass is approximately 2.5" wide, 2.5" deep and 6.1" high. 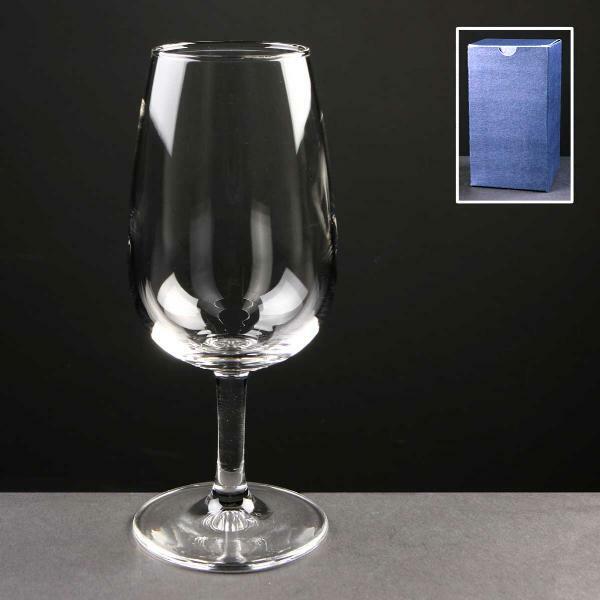 The wine tasting glass is perfect for wine clubs, and its design allows the wine to be easily swirled in the tall bowl. The postage rate for this personalised Wine Tasting Glass is Band B.